At the end of each chapter, a detailed “How to Break In” section offers advice on how to break into all the dream jobs in the chapter and in those fields. For example, the “How to Break In” section of the Entertainers chapter explains, among other things, how to get professional photos, how to create a demo, and how to get an agent. 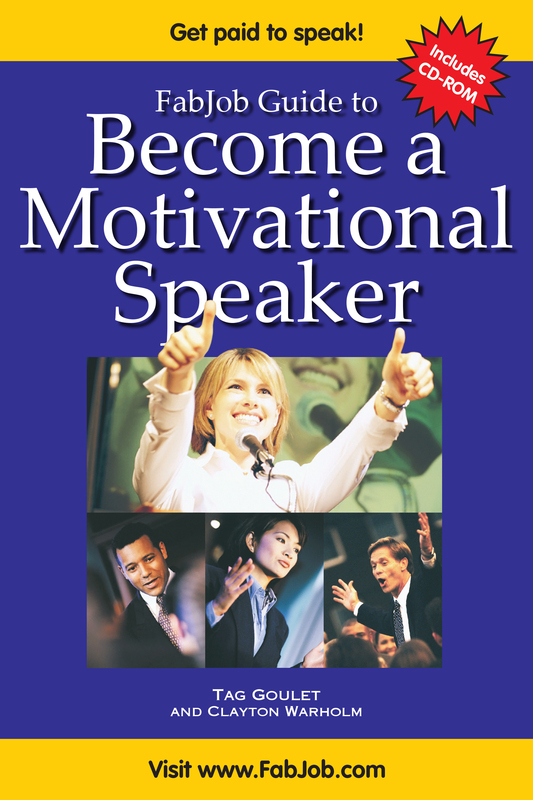 See the tab below for a detailed list of topics and careers included in this 364-page guide or click on the link below. 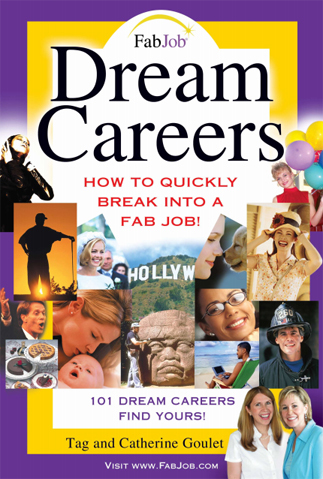 Dream Careers authors Tag and Catherine Goulet are leading experts on how to break into a dream career. Founders of FabJob.com, they have been featured in media from ABC to Oprah.com and from Woman's Day to the Wall Street Journal online. As dream jobs experts, their career advice appears frequently in newspapers throughout North America and online at AOL, CNN, and MSN. 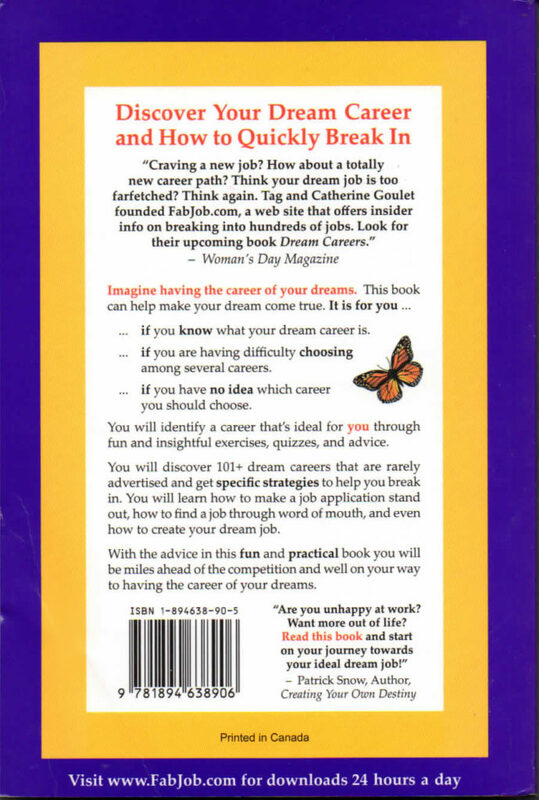 The fabulous career advice in Dream Careers can be used to help you land a career that you dream of. 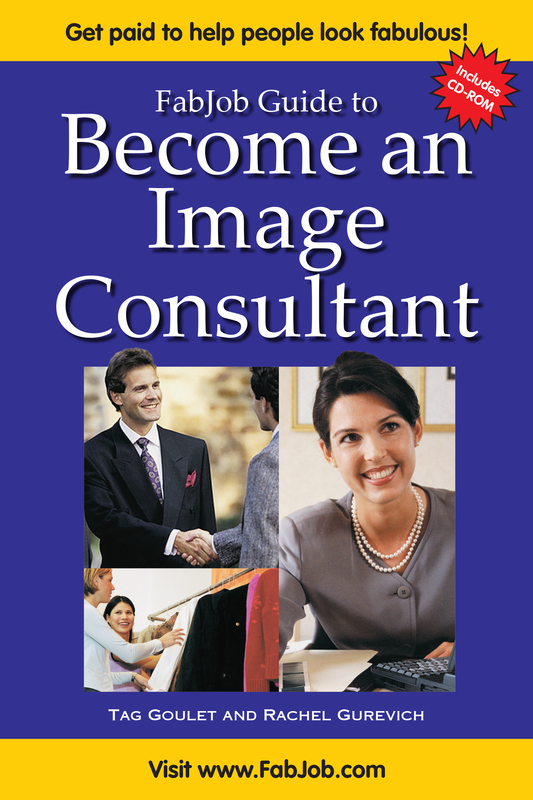 If there is any chance that you will be changing careers or looking for a job, you will find valuable information in this helpful book. Shortly after it was published, Dream Careers ranked # 1 in career and business books at Amazon.com. FabJob books have sold for up to $49.95 U.S. SPECIAL: If you buy this book at FabJob.com you can get it for only $9.95 U.S. (less a discount of $5 or more per book with a coupon code) plus $5 shipping per book to U.S. or Canadian addresses. Actual book size is 6 inches x 9 inches.